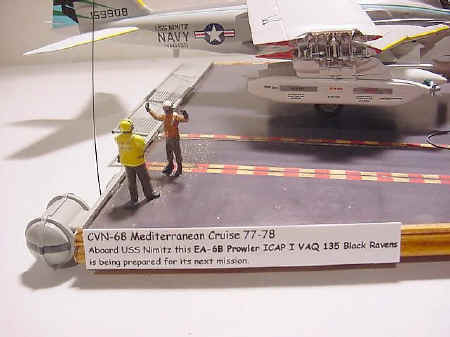 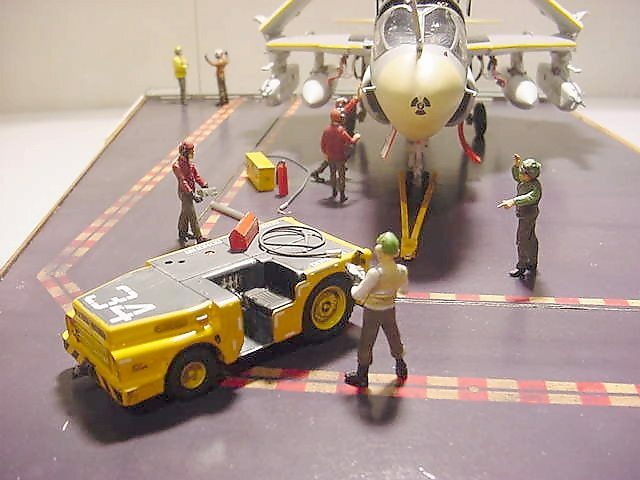 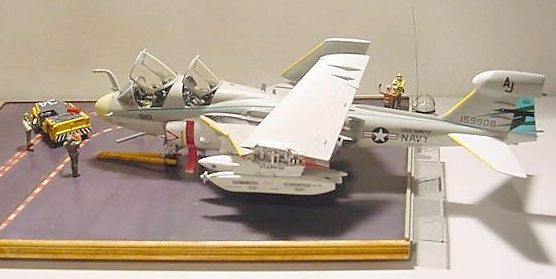 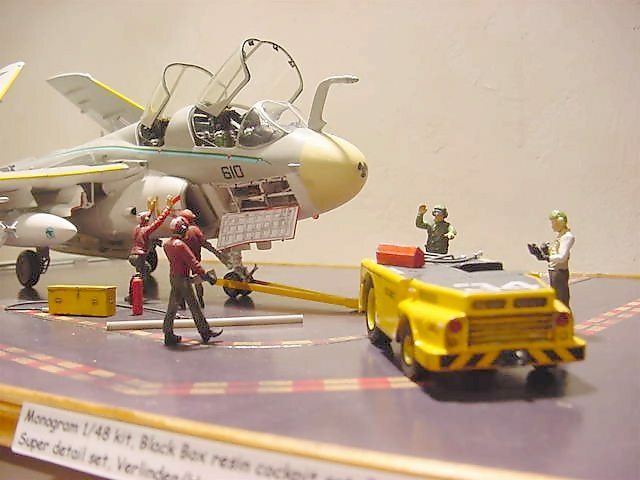 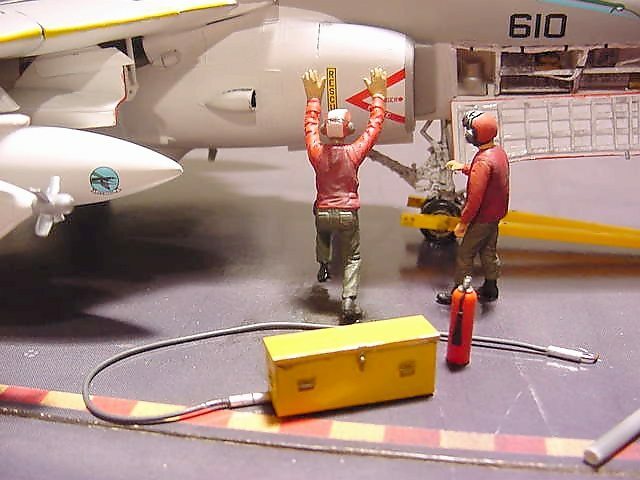 This diorama based on a part of a flightdeck of the USS Nimitz during its Mediterranean cruise in 1977/78. 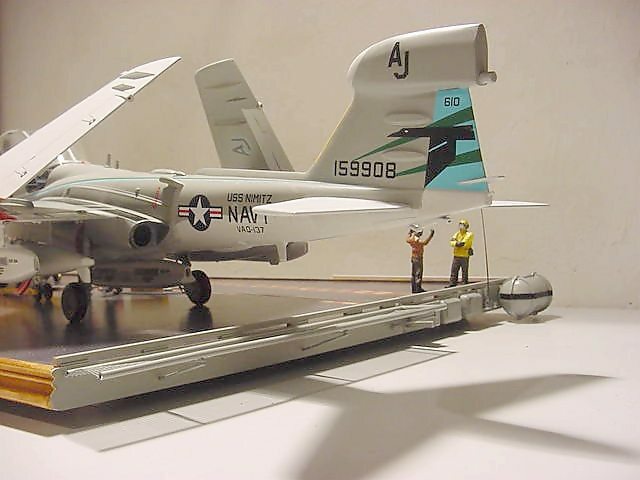 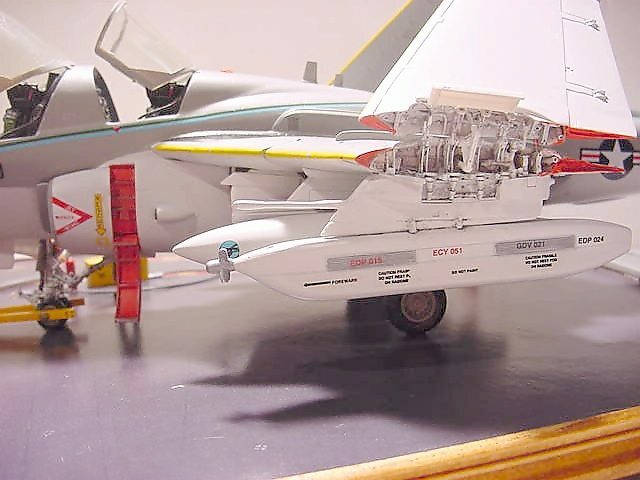 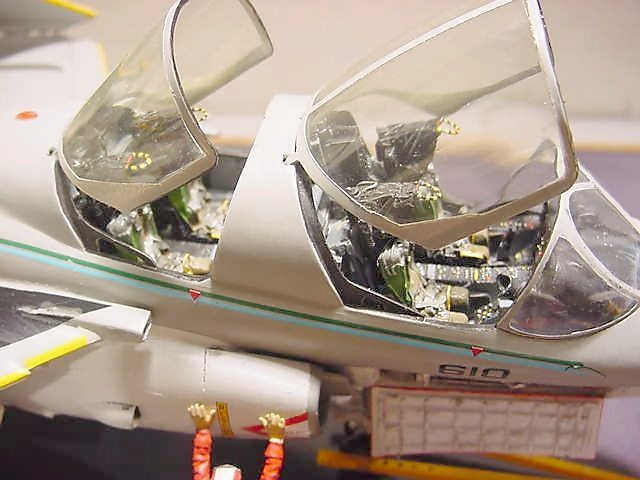 The plane is a EA-6B Prowler by Monogram, which needed lots of conversions as the basic kit is not that good at all. 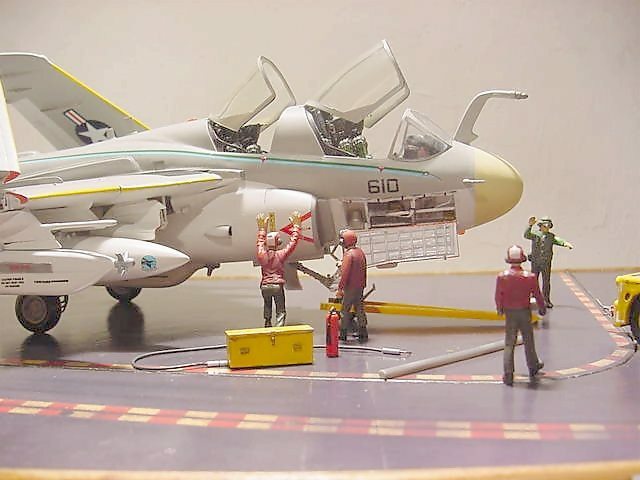 So I started to rebuilt it with the Cutting Edge exterior detail set, it gave me a hard time but also lots of fun as you see the model getting better. 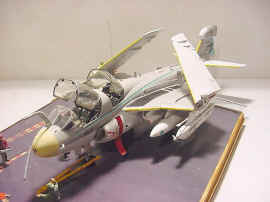 For the cockpit I used the Black Box resin set and the folded winghinges are made by Paragon. 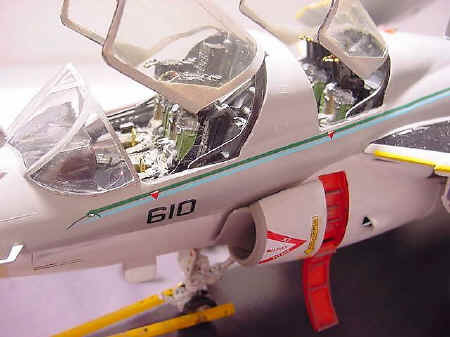 Paint sprays are from Tamiya. 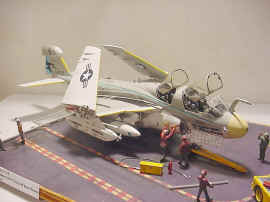 To finish the model I used the Aeromaster decalset. This set is part of a complete book in which you can create all the planes which were used during the Mediterranean Cruise in 77/78. 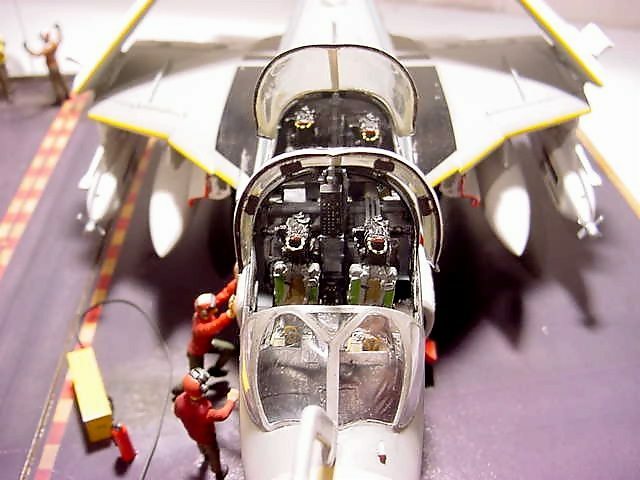 Figures are from Verlinden and Hasegawa and the tractor is also by Verlinden, the carrierdeck print is by Custom Dioramics, as last I would like to mention that the open nosepanel is completely scratch built using some pictures in Osprey books. 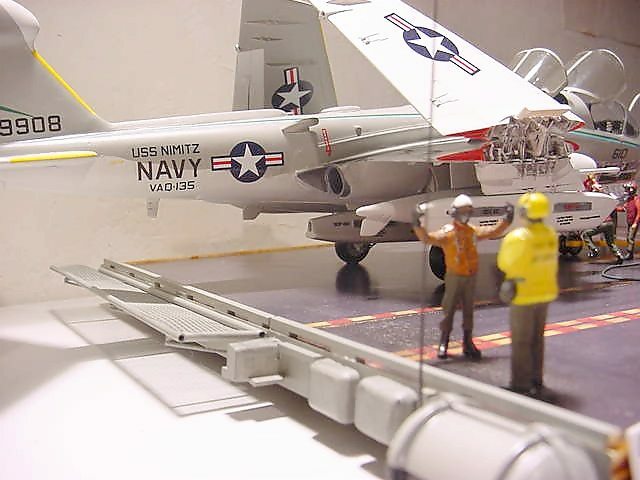 I also tried to create a bit of the edge of a carrierdeck by using some leftovers and scratch.